Meet Miss England 2010. Yes, Miss England 2010. Because horsey girl, Charlotte Packham, has decided to have another go at winning the title, the most prestigious beauty pagent in the country.This time, however, she is determined to win. She also wants to run her own heat, Miss Equestrian “I will be entering again for the 2010 competition,” she says. “I had such a great time. I met loads of fantastic people. 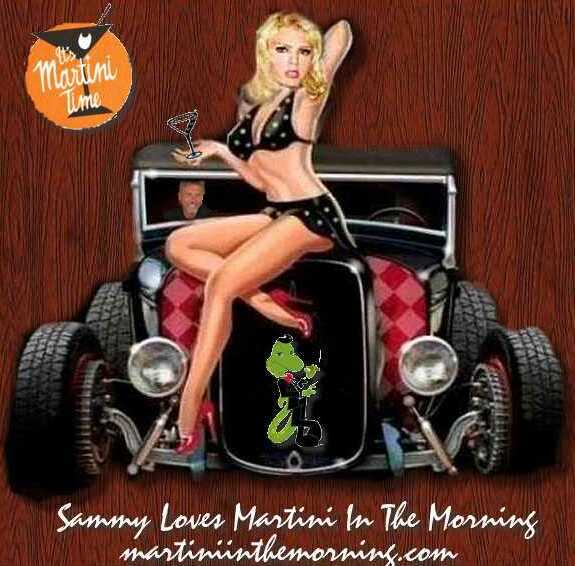 It was so lovely for me to be a girl for a change instead of being in jeans and ariat boots. Walking down that catwalk was such a great experience for me. “Since the car accident I was in a few years ago, I have been unable to ride, and although I am the one who looks after the horses and keeps them looking tidy etc, it's always my partner, Ben's show as he is the rider. So it was really nice to have a few days where I was in the limelight.” But she doesn’t just want to be in the lime-light herself. She wants to share it with other horsey girls. At London 2012, Greenwich Park will host the Olympic and Paralympic Equestrian competitions, plus the combined running and shooting event of the Modern Pentathlon. Greenwich Park is London’s oldest Royal Park, dating back to 1433. It has been a World Heritage Site since 1997. Within the Park is The Royal Observatory and the home of Greenwich Mean Time. A temporary Cross Country course is being designed for the Park, while a temporary main arena will also be built within the grounds of the National Maritime Museum. To find out more about plans for the venue – and to have your say – visit our Greenwich Park mini-site, where you'll find lots of information and an online form for you to give your views. Location: Greenwich Park is on the south bank of the River Thames in south east London. It is a great place to see views of central London and the Docklands. Bedfordshire offers a unique tapestry of green, pleasant countryside, rich in wildlife, with gentle rolling chalk hills, open commons, ancient woodlands, prosperous agricultural land and peaceful canals. Access to the countryside is excellent for walkers and horse riders. A criss cross of paths including long distance walks such as the prehistoric Icknield Way and the Greensands Ridge exist alongside many shorter routes. There are excellent riding oportunities in Flitwick, Clophill, Sandy and the wonderful Forest Centre & Millennium Country Park. If you have any queries contact Louise on 01525 717722. 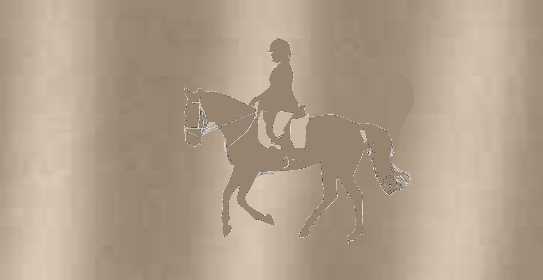 The Aspley Guise & District Riding Club has been an established riding club for over 20 years. 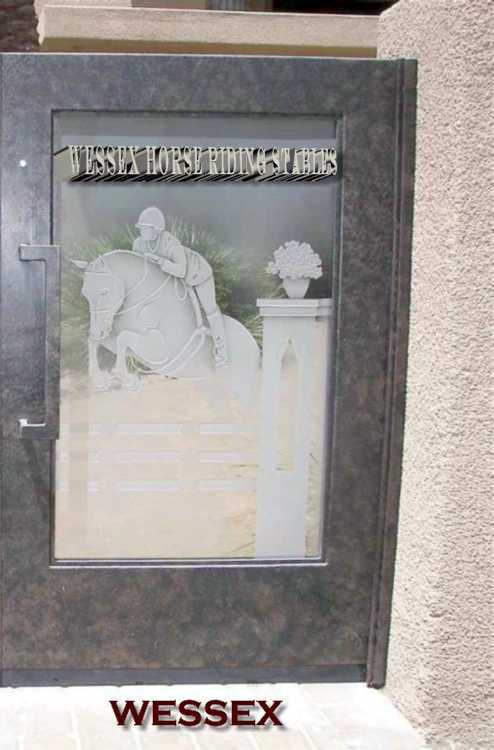 Our aim is to provide activities for all standards of riders and horses.It was started by riding and equestrian sports enthusiasts and who live and ride their horses around the village of Aspley Guise, on the order of Bedfordshire and Buckinghamshire near Milton Keynes, in the south Midlands of England. Before long the Club’s membership extended across all the surrounding English counties as well as the nearby cities of Oxford, Cambridge and London. The Aspley Guise & District Riding Club soon became well-known for its well-attended horse shows, dressage and show jumping competitions and other activities like horse trials, one-day events and cross-country competitions. The Aspley Guise & District Riding Club continues to thrive as one of this area’s premier riding clubs. These days, although we take our competitions seriously and strive to compete to a high standard, one of our primary aims is to make horse riding a safe and enjoyable past time accessible to anyone interested of all standards and even for those who don't ride. 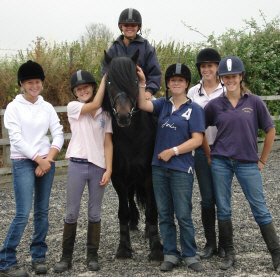 Tel :01234 708400 Keysoe RC is based at The College Equestrian Centre. The establishing of this club at the centre enables its members to take full advantage of the superb facilities. The club has training focus providing regular, varied and high quality training for all levels. 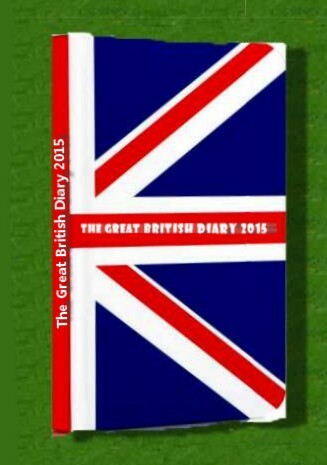 It is also hoped to encourage top visiting trainers from both the UK and Germany . 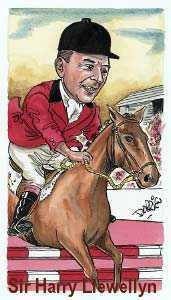 KRC are also working towards providing activities which will additionally be of interest to non riding members, visits to studs, visits to other training centres here and abroad. 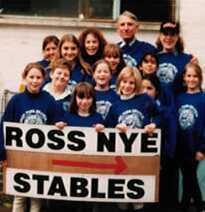 01234 824469 or 0845 241 4380 The Elisabeth Curtis Centre is a riding school for the disabled located in the village of Bromham.The centre is part of the national organisation called 'Riding for the Disabled'. 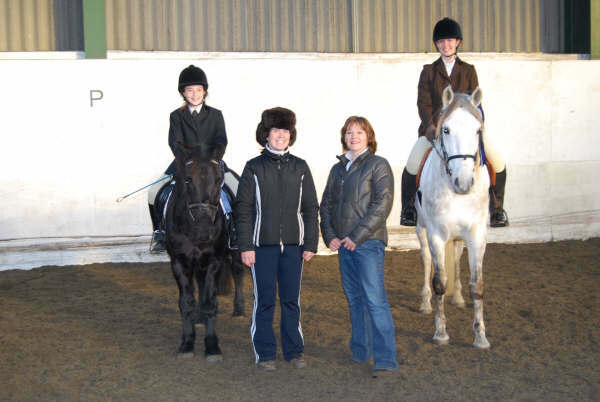 It is a purpose built riding centre entirely for disabled riders. 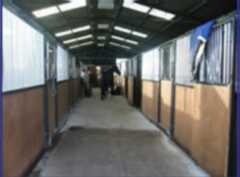 There is an indoor school, stabling for nine ponies, a tack room/office, toilets and a reception area. Around the site are a number of fields which were given to the centre by Bryants in July 2001. These fields are used for grazing the ponies and also give a facility to ride outside. The ponies range in size from 13.2 h.h. to 15.3 h.h. All the ponies live out and use their stables only when getting ready for work, or awaiting their turn to be ridden. 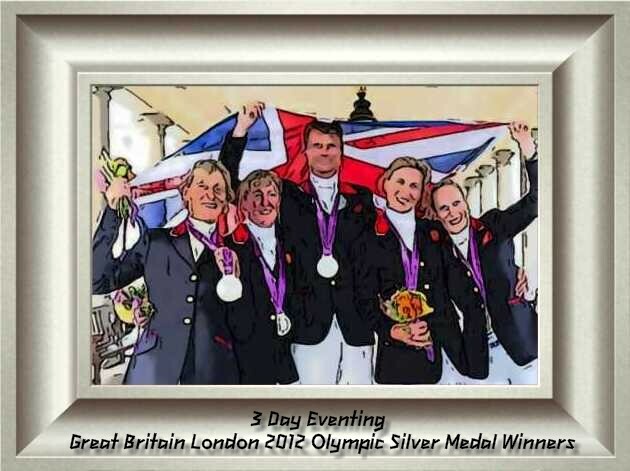 They are looked after by 2 part time grooms and the "instructor of the day". Our helpers also care for them. The Centre is open in term time, Monday through to Saturday, variously in the morning, afternoon or evening. 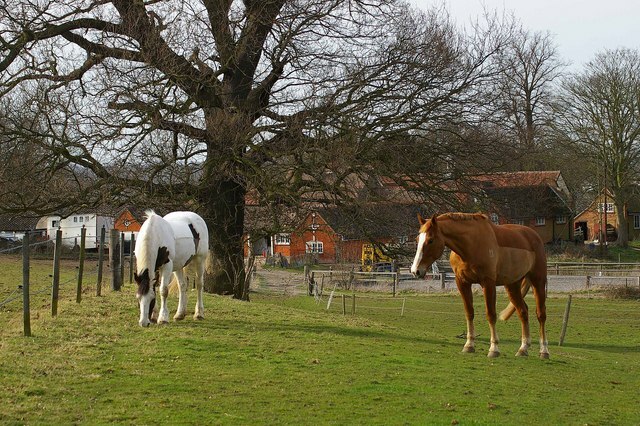 HillSide stables is a friendly equestrian yard that is based on the Bedfordshire/Hertfordshire/Cambridgeshire borders with easy access from the A1 and M11. 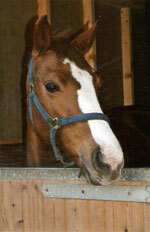 We have all types of quality horses to offer, from happy hackers to competition horses, Warmbloods to cobs. All our horses are handpicked by myself for their lovely temperaments, nature and ability. We listen to your personal requirements to find your perfect partner. All horses are open to trainers and vets. First class livery in an outstanding area of Bedfordshire. At Icknield Livery Stables we are committed to providing first class care for all our horses and ponies. DIY / Part / Full / Holiday Livery available. We also offer breaking, schooling, preparation and breaking to harness / driving. Luton Hoo Hotel, Golf & Spa The Mansion House, Luton Hoo, Luton, Bedfordshire LU1 3TQ, England. The sweeping drive that leads up to Luton Hoo builds a sense of excitement as you arrive at this impressive grade 1 listed historic mansion. Recently restored to its original splendour it sits overlooking 1,000 acres of Bedfordshire parkland and formal gardens once designed by Capability Brown. Remarkable care as been taken with the restoration of the stonework and with the soft furnishing of silks, panelling and marquetry. The master bedrooms in the mansion house give a luxurious glimpse of the past. More contemporary bedrooms are to be found in the outbuildings close by; the Parklands and Flower Garden Wood. Take tea in the Italianate drawing room or experience the elegance of the former state dining room, now the Wernher Restaurant. There is plenty to occupy you including the spa, a challenging 18-hole golf course horse riding and tennis courts. Mike Murphy Racing was established in 2007 and has first class facilities and an experienced team for the training of racehorses. We are based in Westoning, just 1.5miles from J12 of the M1, which gives easy access to the motorway network and the majority of racecourses. 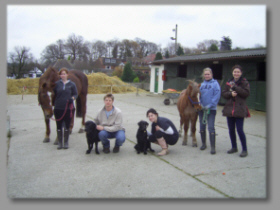 We have a small, enthusiastic, ambitious and friendly team with vast experience of training racehorses. We have a flat structure which ensures each member of the team has an input into the wellbeing and plans for each of the horses. 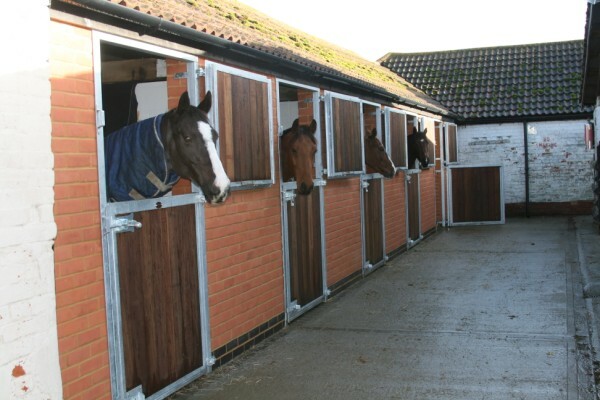 A top class yard that offers excellent facilities and training. 01234 743287 If there's one thing that unites every single member of staff at The Stables, it's a love of horses and all things equine. That passion is what drives us and according to the many happy clients of The Stables, it is highly contagious. Every groom or instructor rides themselves and most own their own horse or pony and treat The Stables' horses and ponies as their own and the clients as their responsibility. 01582 505040 The Sunshine Horse Riding School is a family riding business with 14 horses, located at the foot of Warden Hills in Luton, with ménage and field working facilities and direct access to several bridlepaths. 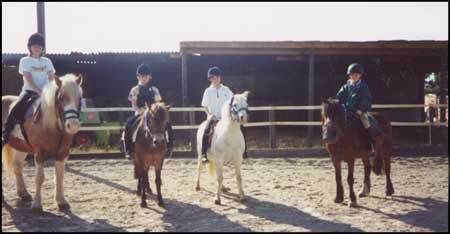 * Horse riding operates 7 days a week delivering riding lessons for children and adults. * Bridleway access for experienced riders. 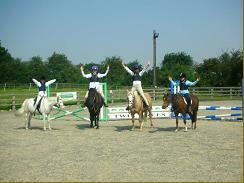 * Group horse riding lessons operate every weekend, private lessons in the week. 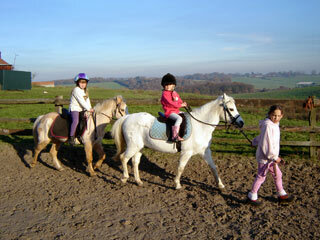 * After School horse riding clubs and evening lessons operate during the summer. * A full programme of half day and full day activities takes place every school holiday and half term. Email: Dan@WarrenFarmStables.me.uk Team Barnes originated in 2001, when Dan the youngest of the Barnes family, decided he wanted to start riding. Whilst on holiday he visited a riding school and decided he would like his own pony. 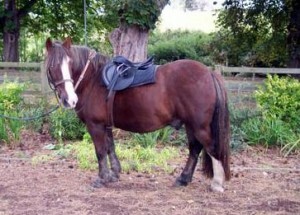 So on return from holiday we went to the local dealers yard and bought his first pony. It wasnt long before Dan wanted to do bigger and better things and was very interested in show jumping, so 6 months later his first show jumping pony "Black Magic" was bought. Dan competed every weekend at local shows and it was not long before he was winning on a regular basis. Everyone knew Dan and his pony wherever we went. Dan soon grew so a second pony, "Buddy", was bought. Again Dan competed most weeks now upping his game to slightly bigger fences at local shows and started competeing doing trailblazers. From there Dan has gone on to horses and is now running his own business from his own yard in Clophill - Bedfordshire and competing at BSJA level. Dan, runs a schooling and equine agent business from his clophill base. He currrently has a variety of horses in for schooling and selling, which he takes out and competes on the owners behalf to gain them more experience. 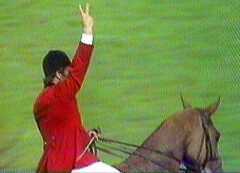 Dan will also take on horses for "breaking" and schooling for people. 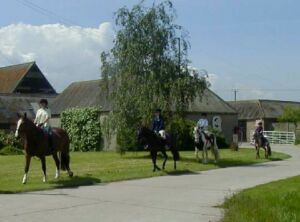 Well established small riding school. Lessons for all ages, nervous beginners welcome. All weather manege. Hacking out available. Weight limit 18 st.
Attridges is a family run business run by the proprietors Mr and Mrs A Mathies, who eat, sleep and breathe horses.Horses have been in the family for generations with a wealth of experience to go with. 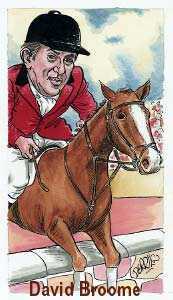 Andrew runs the Attridges polo club, which is affiliated, to the HPA. Andrew is a qualified Polo coach and offers polo lessons to anyone that can ride. 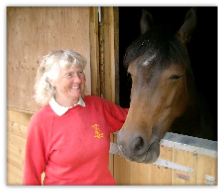 Julia has competed all levels of show jumping, cross-country, team chasing, eventing and point to point and has trained and continues to train many good horses. There is stabling for 32 horses at Attridges, The polo club is run out of another yard in Bishop Stortford throughout the summer season which is between April and September, and returns to Attridges for the winter Indoor season October to March. We are a small friendly riding school, lessons are graded according to the rider's ability with a maximum of eight in a lesson. From Maldon on B1022 to Colchester. In Tiptree turn right by New Times Pub into Station Road. Second right (by phone box) into Bull Lane. Onto unmade road 200 yards, turn left (signed Blue Sabre Riding School) The car park is at the top of the drive through the gate. A large, mainly open recreation ground supporting a variety of activities including football, horse riding and model flying. There is also a large lake surrounded by mature trees. 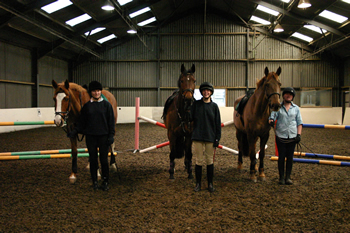 Email: josephine.holland@virgin.net A friendly riding school catering for all ages and abilities. 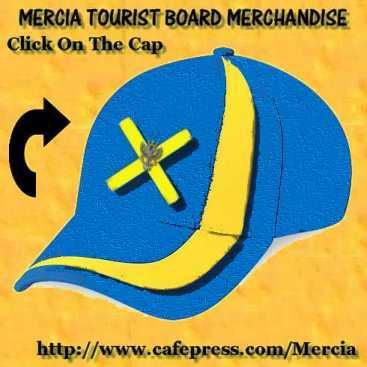 Established over 40 years ago. Lessons are offered in large indoor school with experienced instructors. Hacking available along bridleways nearby. Many activities for children during the school. Weight limit 13 st. Established for 25 years the centre offers lessons on a good range of horses and ponies, from the very quiet to those suitable for the more advanced riders. 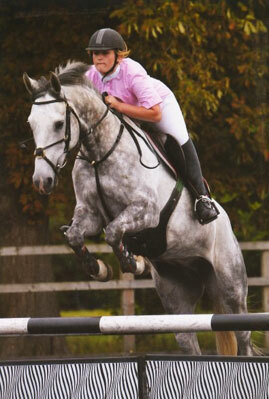 Tel: 01375 891367 Indoor school, outdoor manege and dressage ring. Road safety exam centre. Mobile: 07840 925073 Small and friendly yard catering for all riders whether novice or experienced, either riding for fun or working for exams. 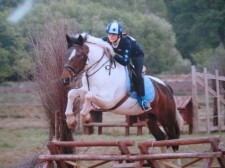 Tel: 01277 366766 Small friendly yard, established for 16 years, with indoor school. Children's lessons Saturday mornings and Sunday afternoons. Hacking lessons weekdays/eve. 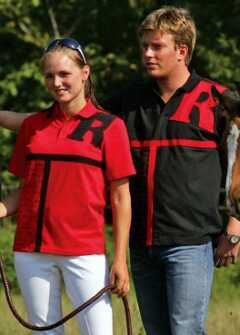 Email info@nortonheath.com Tack Shop for all your equestrian needs. 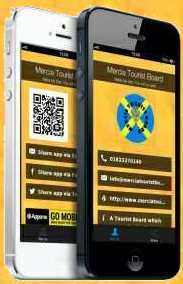 Telephone (01277) 824035. Licensed bar open Monday and Wednesday evenings from 6 pm and all other show days. Outdoor Arena measures 60m x 65m and has a waxed surface, which is ideal for Dressage, Show jumping and Training. Can be split into 2 arenas. Indoor Arena 25m x 52m with a sand and fibre surface. With its own viewing gallery and is overlooked by our our licensed bar and cafe. 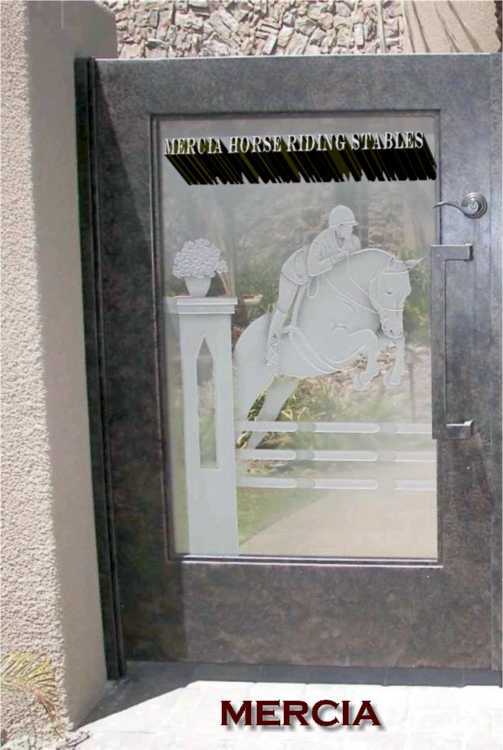 Not only suitable for equine events but has also been used for dog shows etc. Cafe. .. or why not enjoy a cold drink or cappuccino and view from our warm and friendly cafeteria. Drinks, sweets and snacks available all day, as well as proper home cooking. 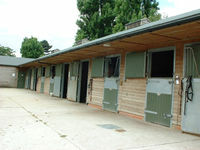 Stabling 18 stables in a secure barn, plus 42 additional stables mostly newly refurbished. 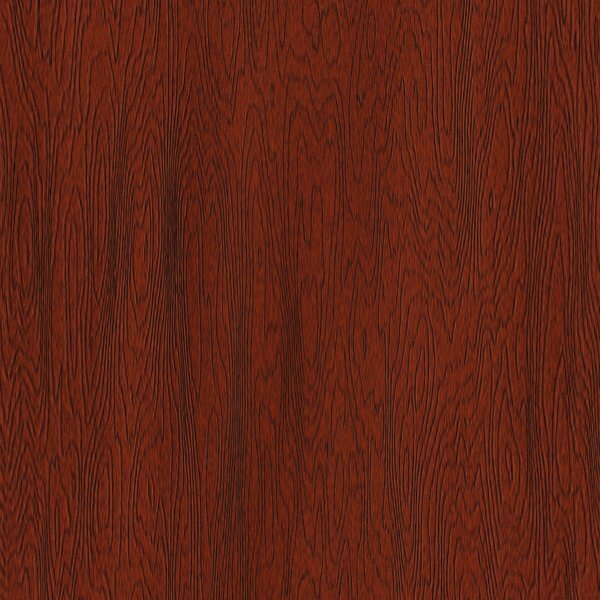 Bedding can be supplied if required. 60 permanent stables Temporaries can be obtained if they are required. Royal Festival of the Horse is an exciting new event for the equestrian calendar. Hosting top level competition and demonstrations from all the equine Olympic sports, the Festival will be the ultimate equestrian experience for 2010. Each day, a different discipline will headline in the main stadium at Stoneleigh Park, Warwickshire, 9th, 10th & 11th July. 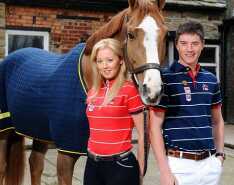 and in with the New Styled show jumping wear- British Show Jumping tries to capture the imagination of the younger generation. 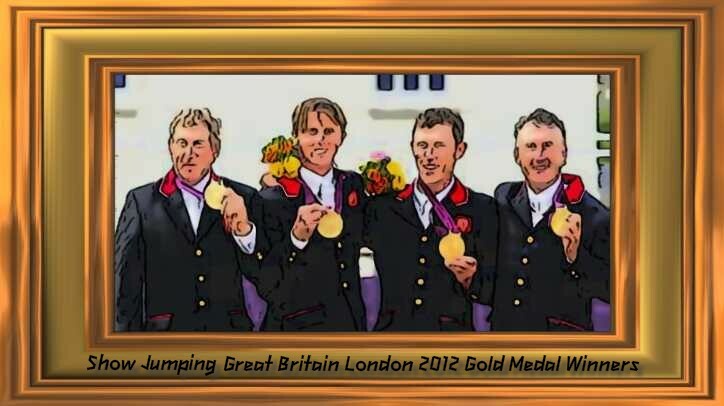 click onto the British Show Jumping local area. The Hurlingham Polo Association (HPA) is the governing body of polo in the UK, Ireland and many other countries throughout the world. 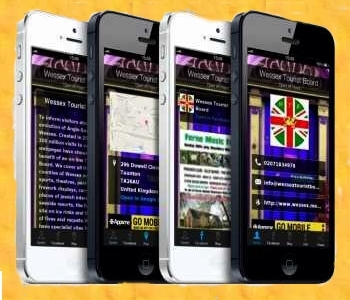 As such, it is responsible for the regulations and rules under which the game is played. This includes the handicapping of any one playing in the U.K. or Ireland. The object of the HPA is to further the interests of polo generally and support by all possible means the common interests of its affiliated clubs and associations. The highlight of the summer, Cartier International Polo day is enjoyed by a cosmopolitan audience drawn by the excitement of the sporting occasion and the glamour of the event itself. At Cartier International Polo, English society rubs shoulders with royalty, Hollywood stars of stage and screen, musicians, sportsmen and women, and celebrities from around the world. Hurlingham Polo Association’s 40th Cartier International Polo in aid of The Polo Charity Trust will be held on Sunday 25th July 2010 at Guards Polo Club. Smith's Lawn, Windsor Great Park, Egham Surrey.